On sale! 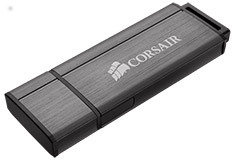 (normally $79) The Corsair Flash Voyager GS is a USB 3.0 plug and play flash drive with an enormous max read speed of up to 260MB/sec making it the ideal for anyone after a fast, reliable portable drive. 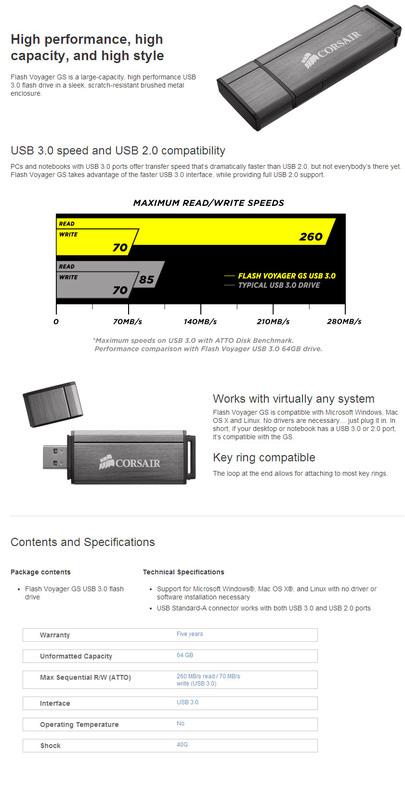 Featuring transfer speeds of 70MB/s and read speeds of 260MB/s.